It’s the holidays! Let’s let loose, go back for thirds, and spike the pie. Bourbon Buttermilk Pie is filled with the spirit and ready to light up your dessert table. Yes, there will be pumpkin pie. Yes, there will be pecan. But the secret pie behind door number three? Bourbon Buttermilk Pie. It’s creamy, addictive, and decadent—everything a holiday dessert can and should and must be. If you’ve never had a classic southern buttermilk pie, please run to your kitchen and bake this recipe immediately. It looks unassuming, but every bite is positively luscious. The custard is velvety smooth and delicate with a rich, buttery flavor, which, as you might imagine, is dynamite when eaten from a buttery, flakey pie crust. Swoooooon. The one fault I find with buttermilk pie is that it can be overly sweet, so I reduced the sugar in this recipe just a bit, placing it squarely in the dessert danger zone—sweet enough to make you crave more, but not sweet enough to force you to stop. As we are already in the danger zone, let’s stay for a splash or three of bourbon. (Did you expect anything different after recent our recent encounters of a Boozy Apple Pie Smoothie and Maple Brown Sugar Bourbon Bar kind?) Three tablespoons is max amount of bourbon that can be squeezed into this pie before it separates (trust me). Should you desire additional, I support you. Please enjoy it on the side. Not a fan of bourbon? Try swapping rum, or simply omit it all together. Your buttermilk pie will still be wonderful. And whether you enjoy it warm from the oven or chilled from the refrigerator at midnight, it will be wonderful too. 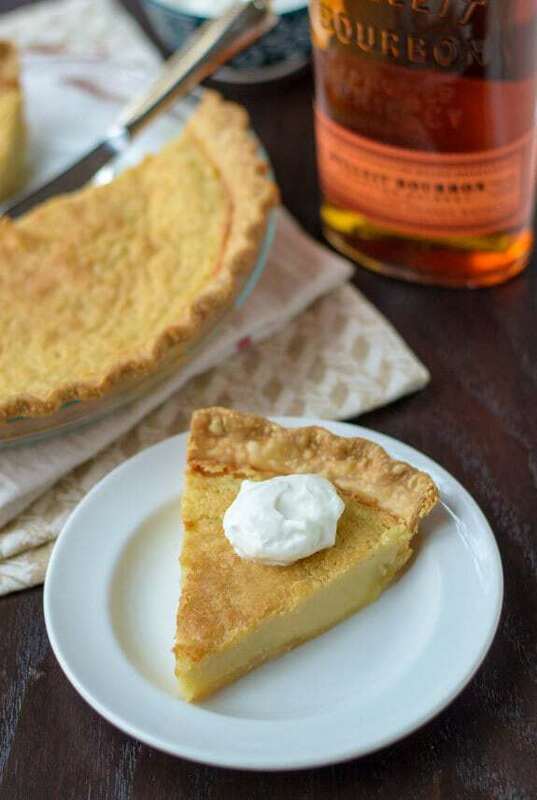 Bourbon + buttermilk sounds like the perfect pie! I’ll take a slice or two, please! I’ve never had a buttermilk pie before and now that I live in the south I think it’s about time! This looks picture perfect! It IS about time Alyssa! Get on it. Thanks so much Brenda! I hope you and your family have a very happy Thanksgiving. Mmmm, I love the addition of bourbon here. Way to elevate a Southern classic! Buttermilk pie is a) the best anyway and now b) being considered for a spot on my Thanksgiving table–this recipe quite specifically–as if we didn’t have a large enough spread already.. dammit! One more pie never heard anyone, right? I’m pretty sure my family would head straight for door #3 minus the toddler. Great pie. I have never had a buttermilk pie, but it sure does look good! Anything with bourbon. Just anything. Load me up a huge slice! I’ve never had buttermilk pie! Probably because I live in California. Looks delicious though, especially with bourbon!! Buttermilk pie is impossible to resist Julia, so I’m sure that you would love it. It is so easy to make to too! I adore buttermilk pie. And you know how I feel about Bulleit. Love, love LOVE this!! You are my Bulleit soul sister! Definitely adding this pie to my must try list, Erin! I just happen to have some bourbon left over from making pecan pies so now I want to make and devour this buttermilk pie! Looks delicious. It’s meant to be Bianca! Thank you so much. This pie looks incredible!! I’ve never had bourbon and buttermilk pie but it sounds like the best pie ever! So creamy and full of flavor and that slice is totally calling my name! Erin, I have never before in my life had a Bourbon Buttermilk Pie!! Now, I feel cheated . .in life!! :P oh my gawd, this looks soooooo good!! Pinning and grabbing the recipe! happy Friday! 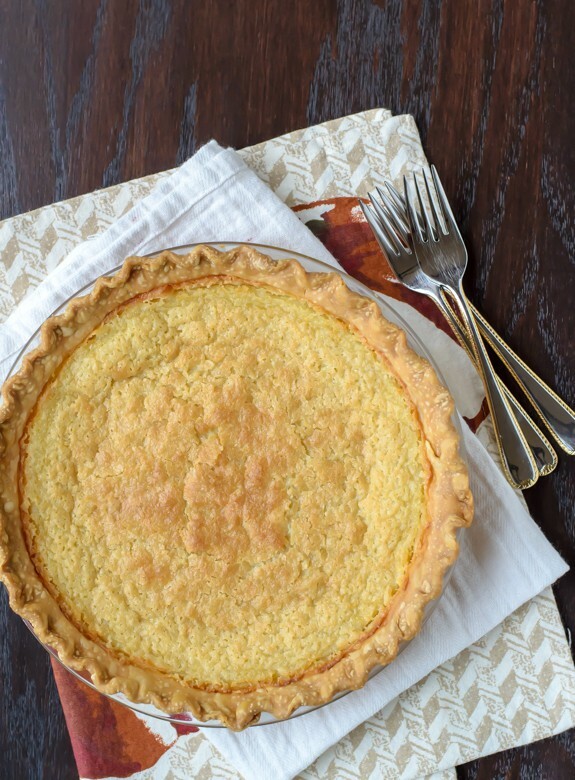 Might have to change dinner for tonight to jut this buttermilk pie. Goodness, it looks great! I just saw the words “bourbon” and “pie” and I had to find out what’s going on here. I’ve actually never had buttermilk pie before, but based on these photos, it definitely looks like my cup of tea! I’ll give this a try soon! I’ve surprisingly never had buttermilk pie! I need to get on this stat! And with bourbon? Yes yes! I am PIE person. So holiday time when there are lots of PIES around is pretty dang exciting. I crave this PIE. Yes, I am deliberately being silly about PIE. 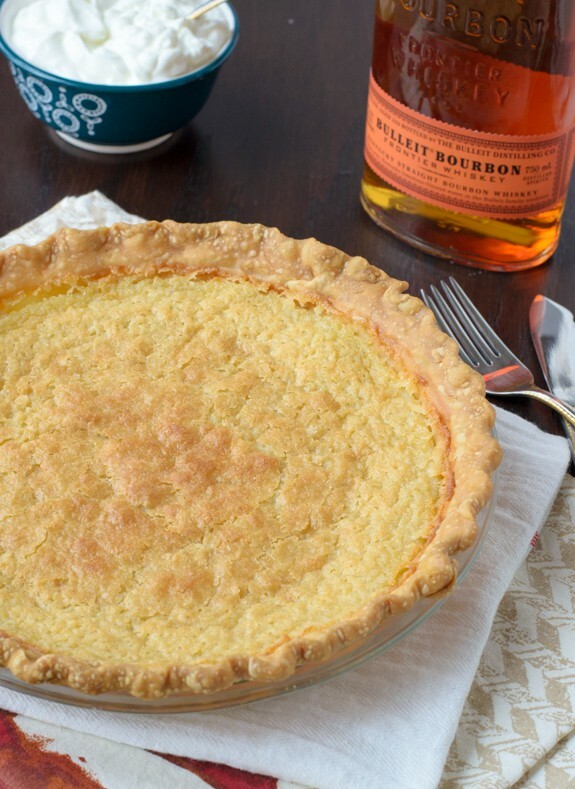 bourbon and buttermilk sounds like the best combination ever – especially in a pie! buttermilk pie is SO good! this sounds wonderful. This pie is a beauty!! Oh yeah! Pinned. Mmm…booze and pie. My favorite combination! I’ve never had buttermilk pie before. It sounds so good! I’ll have to give it a try. Yes to buttermilk pie. Yes to adding bourbon. Pass the pie plate. Pinned. This is my all-time favorite pie! and then you added Bourbon! YESSSS! B-e-a-u-tiful pie! Perfect for the holidays! Wow, this pie is so gorgeous! 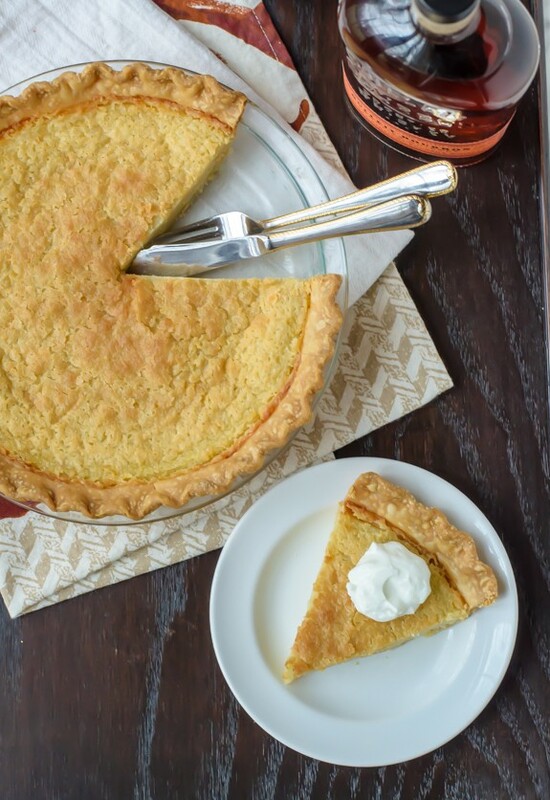 I have never had a buttermilk pie, Seems like I need to try it! I have two buttermilk pies in the oven right now. My house smells heavenly! I will definitely try it with bourbon next time. I’m also thinking about Rum Chata too. I think that would be super yummy, but now I’m concerned about this separating issue…… I didn’t know it would do that. Thanks for sharing! I’m trying your recipe next! Buttermilk pie is one of the best, most wonderful smells, and your idea about playing around with different liquors I think sounds wonderful. Just don’t exceed the amount in the recipe, and I think you’ll be just fine! Barbara, I am so incredibly happy to hear this! And pie is definitely worth an extra trip to Aqua Zumba :-) Thanks so much for taking time to let me know how it turned out!